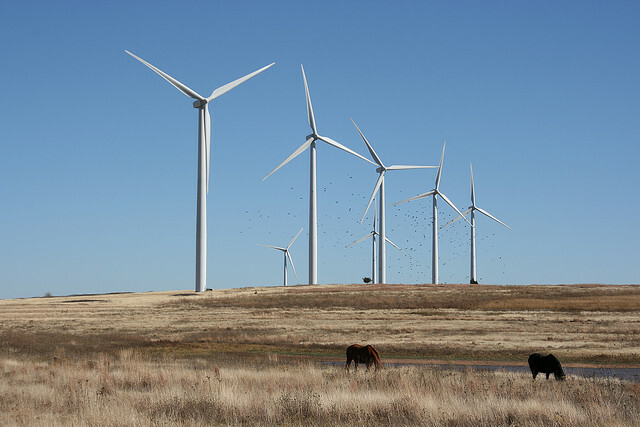 I've seen vistas like this on the plains in Idaho, too, and on the central mountain ridge in Costa Rica there's a wind farm with some 40 machines. I also think it's great. They could build an entire network of these across the midwest from Canada to Mexico and just skip that stupid Keystone XL pipeline project. 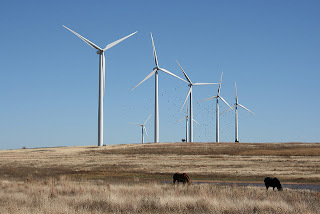 Of course the NIMBYS around here would drop a brick load at the very idea of having to see even one of these things from their decks, although harvesting the wind in the Appalachians is a positive economic driver.